How Can You Get the Most Accurate Home Valuation Possible? I was doing a bit of market research lately and found some information you might find helpful. The experts over at Keeping Current Matters have filed their report for the Fall of 2015, and it appears things are looking up in real estate, on a national level. 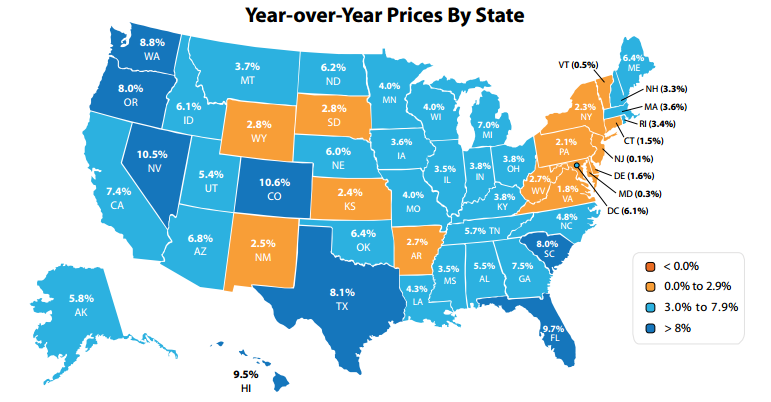 According to numbers gathered by the Federal Housing Finance Agency (FHFA), home prices have risen in every region since this time last year. The FHFA report shows that every state is appreciating at a different rates (Alabama is at a very healthy 5.5% appreciation). Each neighborhood in each city is different, so to get a more specific idea of how much your home has appreciated, we recommend using our free home evaluation tool. You might be surprised by how much your home is really worth. Simply follow the link. This broad home appreciation is indicative of a recovering market. As home prices recover, and even rise above their pre-recession levels, the market will begin to normalize. According to the Home Price Expectation Survey, by the end of this year, values will have appreciated by 4.1%. Next year, prices are expected to rise 3.7% before flattening to just over 3% from 2017 to 2019. This expected slowdown in home appreciation is the result of a normal, healthy market. 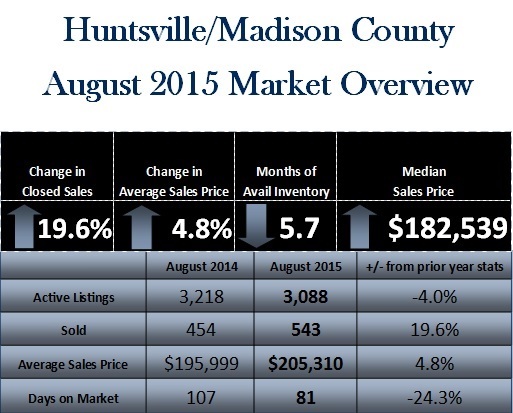 On a more local level, I wanted to share with you our market numbers for the month of August. Be sure to take a look at the market chart that I provided for you below. It’s great news as we saw nearly a 20% increase in sales growth compared to this time last year. Again, if you’re simply curious about how much your home’s value has increased in recent years, don’t hesitate to use our free home evaluation tool. If you have any other question for us, feel free to give us a call or send us an email. We look forward to hearing from you!